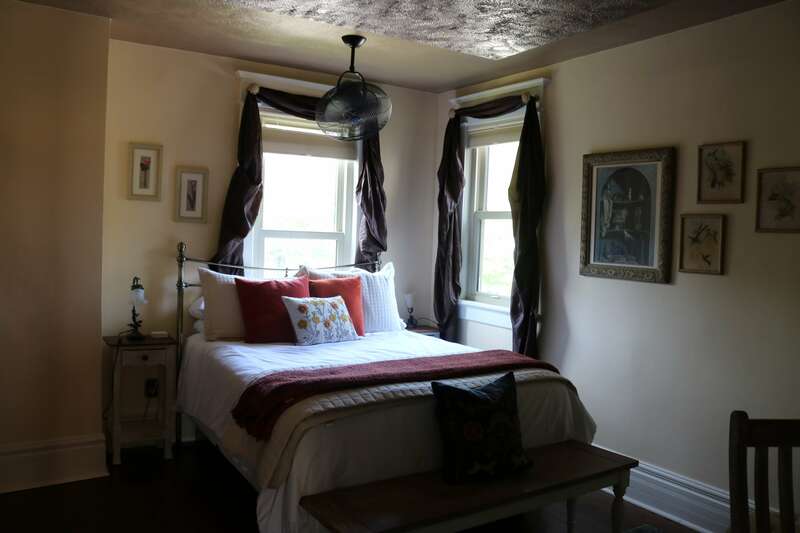 The Hart House Bed and Breakfast is Hart’s finest place to stay. 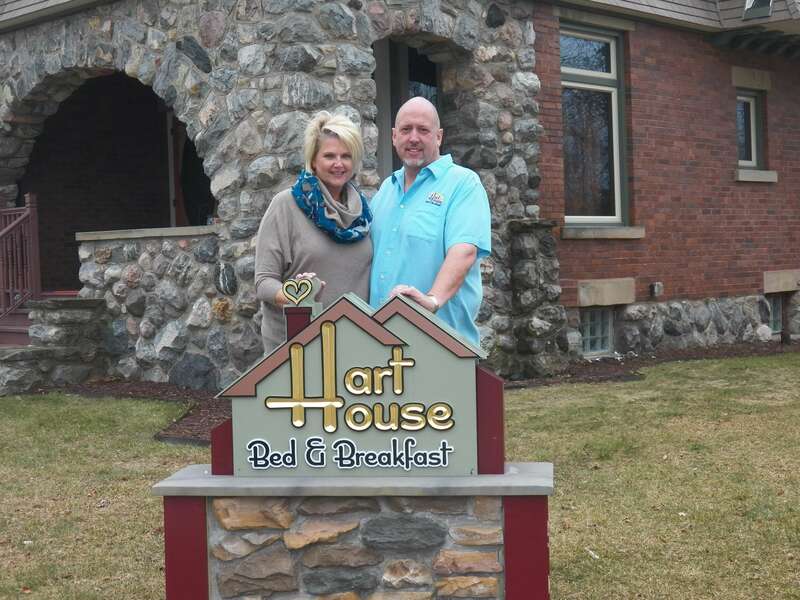 The Hart House Bed and Breakfast is perfectly located in the heart of Oceana County. The City of Hart is a warm and welcoming small town with a rich history and abundant charm. Its walkable downtown and scenic Hart Lake are mere blocks away. Your innkeepers are travelers too. One of the joys of traveling is finding that special, distinctive lodging that makes you feel as though it was designed just for you. This is what Hart House Bed and Breakfast offers our guests. Our mission is to surround our guests with luxury and comfort; a calm oasis in which to relax and restore. Our landmark house has six gorgeously appointed rooms, each with en suite baths, with custom-tiled, walk-in showers, premium bedding and linens, and much, much more. Four bedchambers feature queen beds, desks and sitting areas and ample space. 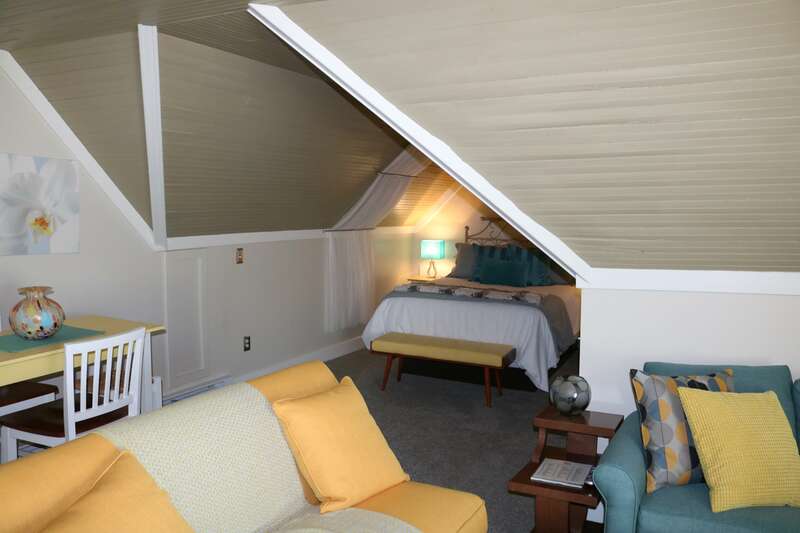 The Shelby Suite offers a king-size bed and a vintage, clawfoot tub in addition to the walk-in shower. 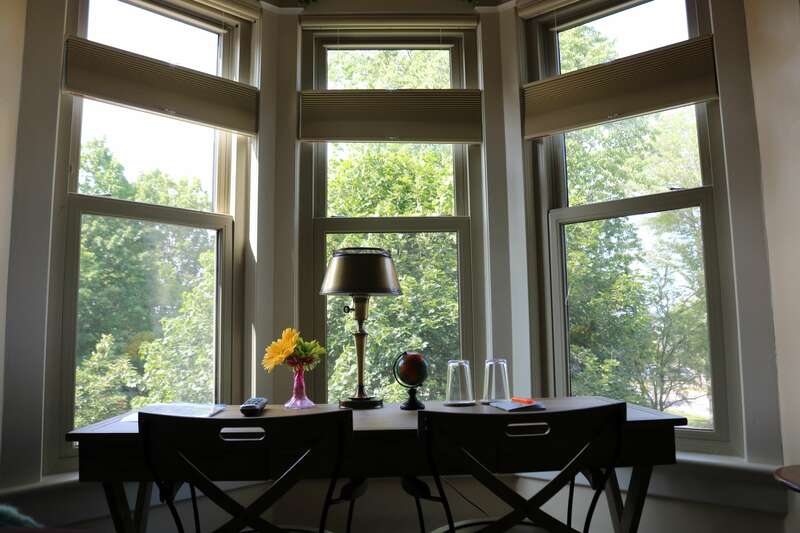 The Hart Suite sleeps up to four in a spacious room that features a sitting and dining area, in-room Keurig and fridge. Free WiFi is available throughout the house, and each room is outfitted with flat-screen TV, mobile charging station and uncluttered horizontal space for your personal items. Coffee, tea, cold beverages, and snacks are available just outside your door at our self-serve beverage bar. Store your leftovers or your favorite adult beverage in our refrigerator/wine cooler. 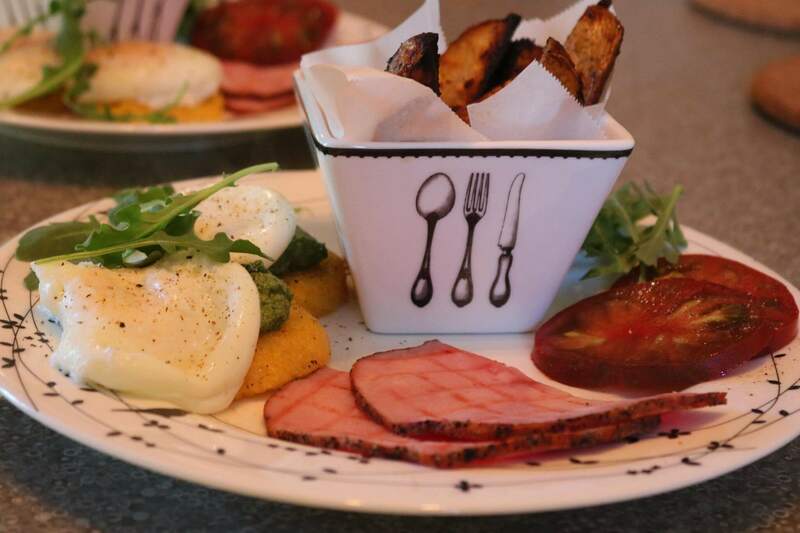 A three-course, gourmet breakfast awaits you each morning and is designed to please the most discerning palate. Two breakfast seatings are available: 8:30 for the early risers, and 9:30 for those preferring a more leisurely start to the day. You will be served your choice of one of two entrees plus fresh fruit and baked goods, coffee, tea and/or juice. Meals are made from scratch, using locally sourced foods whenever possible. Oceana County is abundant with fresh, seasonal fruits and vegetables and many local vendors provide a rich array of high-quality dairy products, meats, condiments, sweet treats and other goodies. We also recognize that many people deal with food limitations due to allergies, restrictions or special diets. If you are living with food limitations, we ask that we have that conversation early and often. The Inn was built in 1904, and designed by E.A. Rush and Company of Grand Rapids, Michigan. This stately, three-story house was originally covered in cedar shake shingles, and its brick walls and fieldstone foundation still retain their richness. The interior footprint is surprisingly intact, with plenty of natural wood features, butler's pantry, original fireplace and dramatic staircase. For history buffs, the house has a tragic-romantic backstory, and stands as a testament to the love of a husband for his wife. Estelle Moore Bates, daughter of Hart pioneer Benjamin Moore, lost her father, stepmother and other family members to the historic Iroquois Theater fire in Chicago on December 30, 1903. 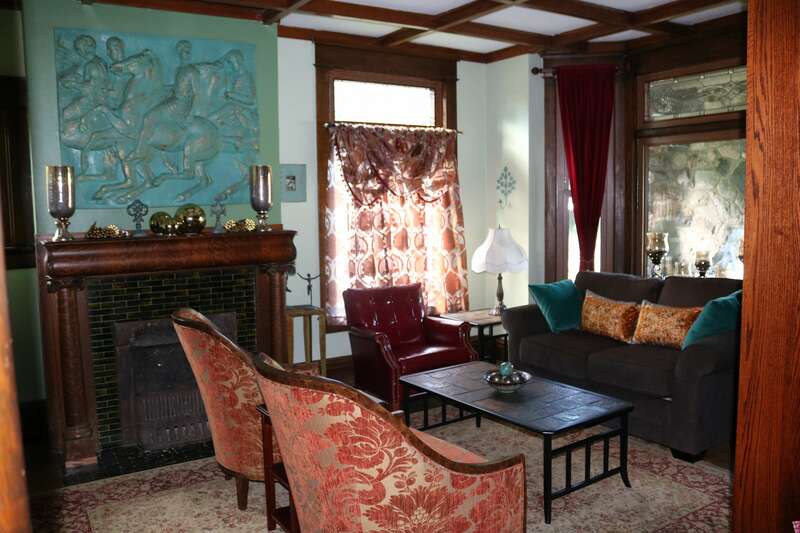 In an attempt to comfort his grieving wife, George R. Bates had this lovely home built in 1904. Many Hart residents cherish personal stories of their experiences in this landmark home. Your innkeepers recognize the iconic status of the house and have done their best to restore it to its original splendor during it seven-month renovation in 2016. History lovers may wish to peruse our set of original blueprints, a copy of the E.A. Rush catalog featuring the house or memoirs and vintage photos of the Bates family. We are within walking distance of the Hart-Montague Rails to Trail, a 22.5-mile, paved and well-maintained walking/bicycling trail. For the avid cyclist, we offer an in-house bicycle storage and repair area. We'll even pack you a breakfast-to-go for those sunrise rides. We also offer complimentary bikes for the more casual rider. 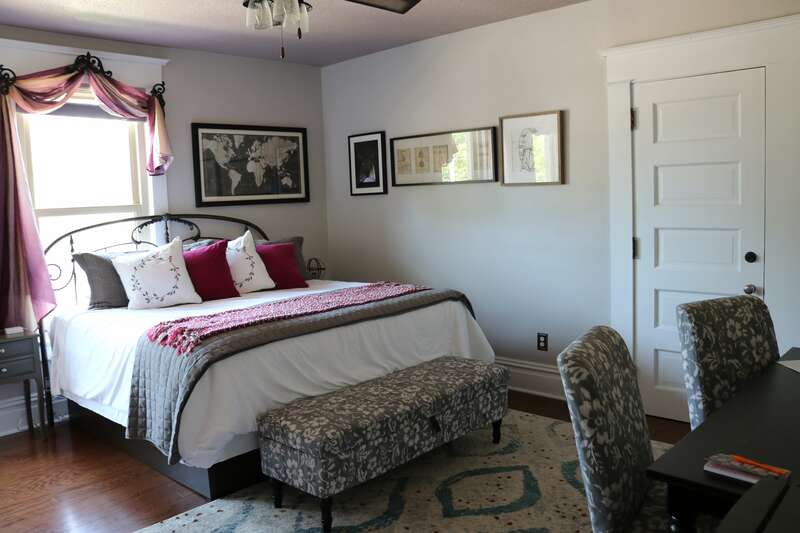 The beauty of staying at the Hart House Bed and Breakfast, is that you are less than twenty minutes from a full day’s adventure – in any direction! Hart is one mile off of US31, between Muskegon and Ludington. You are six miles from the shores of beautiful Lake Michigan and the charming Village of Pentwater. The Silver Lake Sand Dunes offer fun options for the adventurous. Many other hidden gems await you in Oceana County, like the glorious French Lavender labyrinth at Cherry Point Farm & Market in nearby Shelby. Or the Country Dairy farm, store and restaurant in New Era - family owned and operated since 1907. Neighboring Mason County is home to the port city of Ludington and the SS Badger, a passenger and vehicle ferry that has been in service on Lake Michigan since 1953. Nine, publicly accessible Lake Michigan beaches are within a 15 to 40-minute drive. The Hart House Bed and Breakfast offers beach and picnic gear, so you can pack light. Your craft brew experience begins in Hart at the Big Hart Brewing Company. 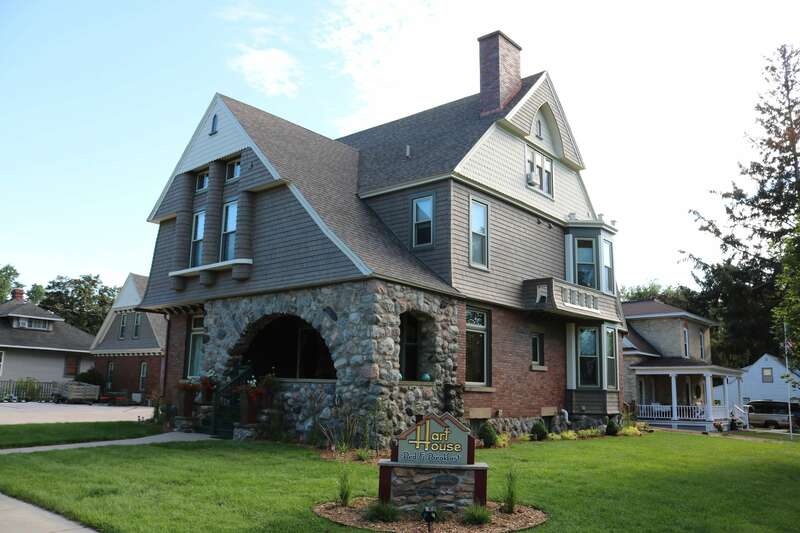 The Hart House Bed & Breakfast opened the same year as Big Hart Brewing Company, and we've shared many an evening in this rustic-industrial styled brewery. Come for the brews, sample the savory menu options and meet new friends. More hoppy delights await you, all within a 25-mile radius. To the south is the innovative Fetch Brewing Company, in Whitehall. To the north, three stellar breweries offer up their finest brews; Starving Artist Brewing, Jamesport Brewing Company and Ludington Bay Brewing Company - all in delightful Ludington. Add these fine craft beer establishments to your list of "must-taste" breweries. Stay at the Hart House Bed & Breakfast - we'll keep your growlers safe.